When we go about our daily lives, working hard and making plans for the future, we're all making an assumption. We assume that our world as we know it will stay more or less the same. How can we be so sure that things will continue on the way they are, though? In fact, our continued peace and health is very fragile. Global catastrophe is always a looming danger. Preparing for survival is a must. In his book The Lost Ways, Claude Davis helps guide you through preparing you and your family for disaster. In this review I'll answer your questions about it so you can decide if it's worth the investment. What Does “The Lost Ways” Refer To? People who were a couple hundred of years ago had a lot of practical knowledge that most of us don't have today. You might know where to get the best latte in town, but it's unlikely you know how to grow your own basic crops. Or how to create a makeshift cellar to store those crops. Those are the types of things Claude Davis considers the lost ways. Most of us never learned them because we never had to. And unfortunately if a war or a natural disaster destroyed our infrastructure, we would all be screwed. Of course, that's not a complete list. People who are just curious about the world we live in, or who want to learn new skills, love it too. What Does The Lost Ways Teach You? Imagine you were a pioneer back in the early 1800's. You would have learned some basic things at a young age: how to stay warm, stay safe, avoid disease and keep from starving. These things were essential for pioneers and native groups, who lived in a wild and unpredictable world. And that, in effect, is what our world may look like following a global disaster. 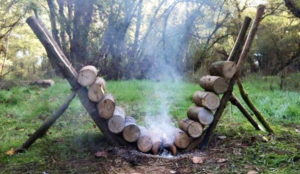 You might know how to make a campfire, but those fade out pretty quickly if you don't keep feeding it more wood. So what do you do if you need a heat source while you sleep? If you want to make it through the night without freezing you'll need a self-feeding fire. This is a fire that will keep burning safely without you having to feed it continuously. A big portion of the books is dedicated to preserving and preparing food. This is obviously critical to survival, and it's also the area where a lot of us are perhaps most unprepared. There a several dozens of recipes for efficient meals that you can cook using basic ingredients over a fire. The recipes use some basic cooking supplies like a pan, flour, salt, meat, eggs, and butter. You also learn how to cook using cast iron, how to roast meat on a spit (or string), and how to use a Dutch oven. Plus, the book teaches you how to brew your own beer and make homemade moonshine, just like how the pioneers used to do it. For meats, you'll learn how to properly smoke them. Keep in mind that you won't have the power to run your fancy backyard smoker – in this case you'll need to make smokehouses the way the pioneers did. This was surprisingly less complicated than I would have guessed. For all of your food you'll need a place to store it long term. The Lost Ways teaches you how to make a cellar that will keep it from going bad, being eaten by pests or being destroyed by the weather. Then you'll learn how to prepare the food before putting it in your cellar. This includes things like culling crops, preparing and curing vegetables, and organizing the food properly. There is a full section on different ways to tell direction without a smartphone or even a map. This is yet another thing that would have been common knowledge to people living 200 years ago, but most of us today are clueless. Or at least I was. I'm glad I read this section, to be honest. This is important stuff for everyone to know. 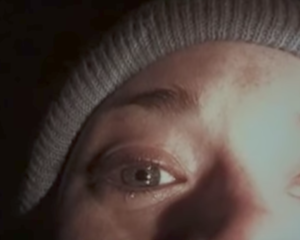 After all, you don't want to end up like the characters in Blair Witch Project, right? The Blair Witch could have been avoided if they had known how to navigate! Lost Ways has an entire section on using guns in a survival scenario. One of the important points here is that our modern guns could prove unusable if a part breaks and you can't get a replacement. What do you do instead? Use older guns that can be repaired with more basic levels of technology. So with that in mind, you'll learn how to stay armed in the absence of an operating gun store. …and some other things as well. This was one of the most fascinating parts of The Lost Ways. A lot of reviews gloss over this part of the book, but we consider it one of the most important sections. If you're not familiar, “wildcrafting” means foraging for plants and herbs in the wild. It's pretty much a lost art these days. But no too long ago it was essential for survival. And it will be essential if (or rather, when) we find ourselves in desperate times again. This section teaches you which naturally occurring plants are safe to eat. It tells you exactly what the health benefits are of each plant. Conversely, it will tell you when you should avoid eating certain plants. For example: asparagus is perfect for foraging, but if you pick it after a certain age it can be toxic. These days, if you get a cut you can just put some ointment and a band-aid on it and you'll be fine. In the old days? Skin wounds could be deadly. And in a survival situation without modern first-aid, knowing how to treat wounds is essential. A poultice is a material you put on wounds to help stop inflammation and promote healing. Native Americans and pioneers alike were skilled in the art of healing wounds using poultices. But these lessons have been lost over the course of several generations. This book has a whole section on poultice recipes. Some of the recipes were adapted from a book that's over 200 years old, so you learn how the true survivalists did it. Who Is The Lost Ways Meant For? 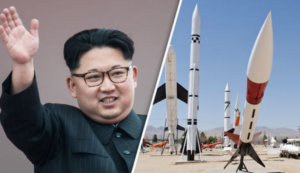 »North Korea is working quickly to make nuclear missiles that can reach California, and the United States has all-but-guaranteed a war if/when that happens. »The Fukushima nuclear plant has already had its core meltdown several times, and a far worse meltdown is eminently possible. »Every single bank and central government can be hacked. It could take only one cyber criminal to trigger a global economic collapse. »Technology could create a biological weapon that destroys our food supply or worse. I could go on, but the point is this: all of today's technological advances are fragile. A single attack could erase all of this, and we would have to rely on the same survival skills that people knew just a couple hundred years ago. All of today's technological advances are fragile. Who Else Should Check Out The Lost Ways (Besides Everybody)? People who are interested in the outdoors, guns, history, and survival planning will especially enjoy The Lost Ways. 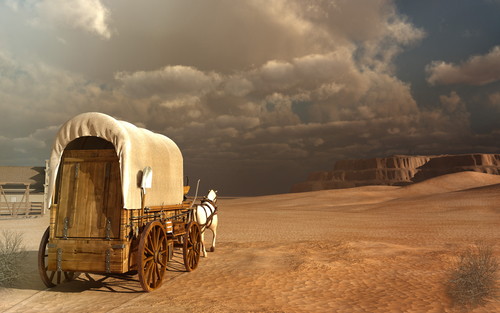 You learn a lot about how people lived in pioneer days and what lessons they can teach us. It would also be a great way to teach skills to children and teens. A stranded child is every parent's worst nightmare, so teaching them basic survival information would help your peace of mind in a crisis. The lessons would also be perfect for programs like the Scouts. It's popular to call things “scams” on the internet these days. Especially products that use marketing videos like The Lost Ways. However, this book is not a scam. Not even close. For one thing, it's currently available through a reputable online product vendor. There is a 60-day refund policy, and obtaining a refund is quite easy. Moreover, this book truly has value. It's interesting, entertaining, and has a lot of information that can help you both now and, even more so, in the future. The Lost Ways is well-written and I was surprised by the level of detail. I wasn't able to get a review copy so I purchased it myself, and it was a worthy investment. It didn't cost very much, and in the event of a global disaster it would literally become invaluable. Plus they have refund policy for 60 days after purchasing. I hope this information helps. Watch their presentation here.